Accepted by a leading OEM for very high throughput, this clamp has been in service 24/7 since June 2010 with over 60 million cycles and counting. 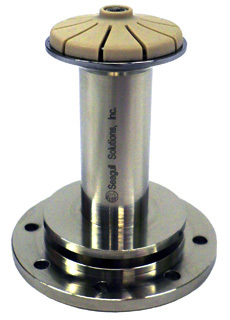 Internal testing at Seagull showed no detectable wear after 14 million clamp/unclamp cycles. 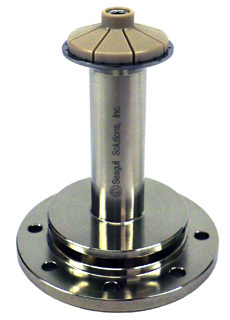 Adaptable to a wide range of spindles and applications. 6) Wide choice of features to meet application specifics. 7) Option available for horizontal spin axis applications. Images shown are of the 20mm and 25mm variants.